Joe Wright, Senior Developer, Coach & Architect, helps people deliver software that’s well designed, fully tested and released early. You will learn from his case study at #itakeunconf about how a team can go from individuals to a mob. Set a few hour blocks aside each week that you will dedicate to improving yourself or creating something each week. As a parent, I’ve had to start doing this by getting up early to grab two hours each day. During this time you can learn a skill, practice coding, write a book or make a podcast. It’s far too easy to let distractions rule your life. Make time to do something you are proud of. I think everyone is terrified of public speaking. It’s an unnatural thing to do. Our ancestors learned this behavior as a survival instinct – if lots of carnivores are looking at you then you are probably the dinner. Time to run. Getting over this is an important step that enables you to have all sorts of life experiences. Speaking at conferences, leading workshops and meeting interesting new people. The way I beat the fear was by volunteering to co-organise a well-attended meetup. Each month I would have to get up in front of a room of my peers and say some boilerplate about welcome and the agenda. But just that act of getting up and speaking was enough to dull the fear over time. I’ve not been made into dinner yet. As well as building yourself up as a speaker, it helps improve your network of people. People like speaking to the host at an event and it gives you an easy opportunity to learn about those people, then take a mental note when you might want to get into contact with them in the future. Don’t feel you have to figure everything out yourself or read up online. Reach out and ask people for help. As you spend more time in your career you meet more people – and one day you’ll have a question you’d love to ask them. It’s even easier now with social media and video conferencing. People will give you 30 minutes of time online or meet you over coffee to give you their advice if they think you’ve got an interesting question to answer. I always have a list of three things I want advice on. You never know who you are going to meet. At first, newly minted developers want to get projects released and in users hands. During this, you try to get better at creating software that can be changed to meet their needs. Eventually, newer technology comes out, which promises to solve the problem of getting code out quicker and is easier to change. It’s quite easy to fall into the trap of just learning technology stacks. This can be rewarding, but that’s not the only way to improve as a developer and meet people’s needs. Seek out opportunities to see the world from the other functions in software. If you tester goes on holiday then volunteer to stand in for them. If you have an ops team then ask to pair on making the release process smoother. Facilitate a retrospective for another team. Run a usability session with real world users to see how your product is used. Stepping into another roles shoes helps build empathy, which will allow you to work better with others people in the future. If you tech stack isn’t challenging you then concentrate on improving your “soft skills”. Teach someone how it works. Figure out ways to promote and resolve conflict on your team. Fix the root causes of communication and process issues that slow you down. It can be hard to get feedback about how you are doing. Are your ideas valid? Often you can’t get this feedback in your workplace. Seek out a group of people or a person that is willing to challenge how you think. For me, this is the Lean Agile space and my local code craftsmanship group. Consider these people that challenge you your core group. The way you work should be consistent with the ideals of that group. So don’t ever worry about saying what you think at work, just make sure you stay true to the principles of your core group. How can I reduce communication, approval, and tech debt issues from slowing down my team? How can I measure and improve how a dev team spends their time? How can I get started doing this at my work? 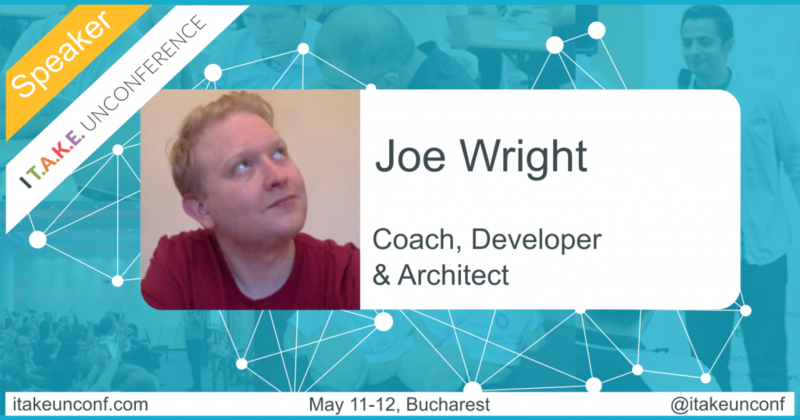 Want to join Joe, +30 international speakers and ~300 software crafters from around Europe?